From this we can determine that so-called “Anarcho”-Capitalists are overwhelmingly young, American, White males in school. An assumption that can be made is that since they are full time students, they likely don’t work as well. We pretty much already knew this. The ideology is rarely espoused by anyone outside the US or ethnic minority. In other words, people who’ve usually never had to work a day in their lives, nor even felt what it was like to experience racism. The very things they defend. The ability to live off other people’s labour because they own the means of production. And supporting the abolishment of equal rights for all races and sexes. Can it be a surprise to anyone that they’re privileged White males? This entire spectrum of moral theory has one thing in common: They all consider property rights to be greater than human rights. Their belief is, the right to own things, is greater than the right to have food, shelter and clothing. I think this alone speaks to the kind of people they are, why they act the way they do and what they really think of human life. As a side note, since when the hell did Stefan Molyneux have his own moral theory with people following it? Better yet, how is it any different than the rest of the moral theories listed? 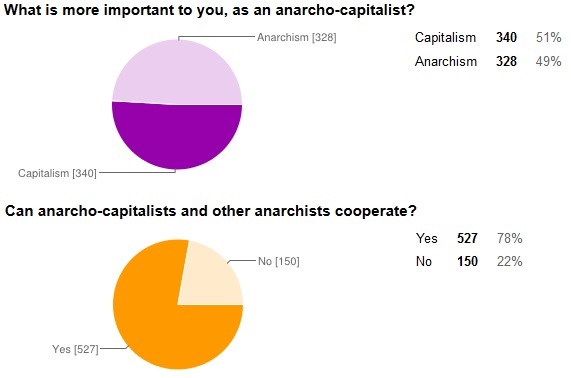 My favourite data of all is the exposure of the fact they clearly don’t know what anarchism is. These people are convinced that Anarchism is a word meaning “anti-authoritarian”. In truth, Anarchism is anti-capitalist along with being anti-authoritarian. Literally, the ideology calls for the destruction capitalism. These libertarian-types have stolen the word Anarchist and perverted it to mean anti-state. This is comparable to saying “Communist Capitalist”. All we have to do is look that those theorists who have handed down the Anarchist ideology. “The worker’s liberty . . . is only a theoretical freedom. lacking any means for its possible realization. ant consequently it is only a fictitious liberty. an utter falsehood. The truth is that the whole life of the worker is simply a continuous and dismaying succession of terms of serfdom–“voluntary from the juridical point of view but compulsory from an economic sense–broken up by momentarily brief interludes of freedom accompanied by starvation; in other words, it is real slavery. You would think “Anarcho”-Capitalists would get the message when actual Anarchists want to beat senseless. 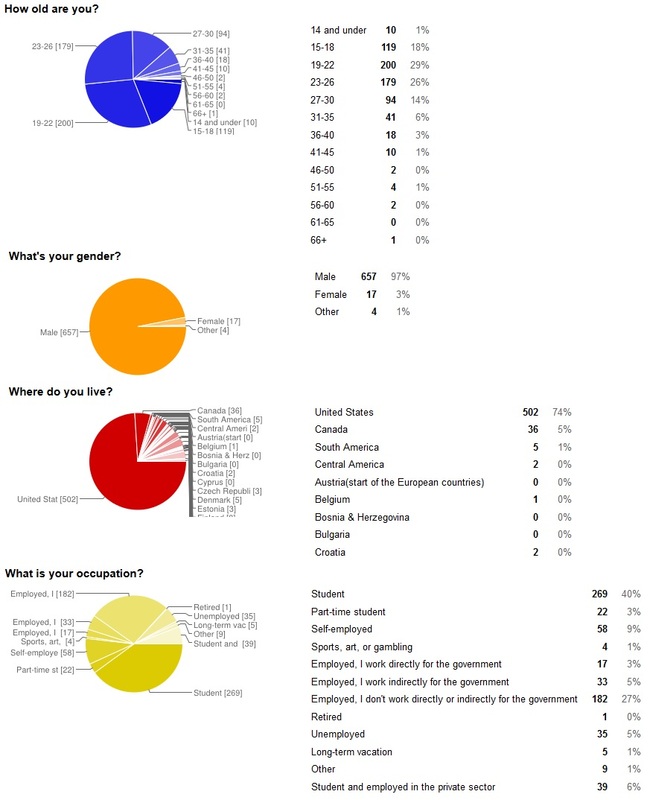 In the end, I think this survey showed “Anarcho”-Capitalists to be what we’ve always known them to be. White, well off, privileged whiners whose major complaint is being “forced” to contribute to society through taxes. Sorry kids, those roads you use cost money.